Like every year, I spend some time reviewing last year’s musical output. I browse through 60+ compositions, playing them one by one. Some half finished, some requiring just a proper mixdown, and some just 1 bar long. When it sounds good, and has some potential, I mark it for potential future use, all others get archived (or even deleted). It was on a recent stroll through my ‘2012’ folder that I stumbled across an unfinished synth-sequence of 4 bars, that immediately grabbed my attention. I wondered why I never took it upon myself to finish this into a song, and immediately got to work. 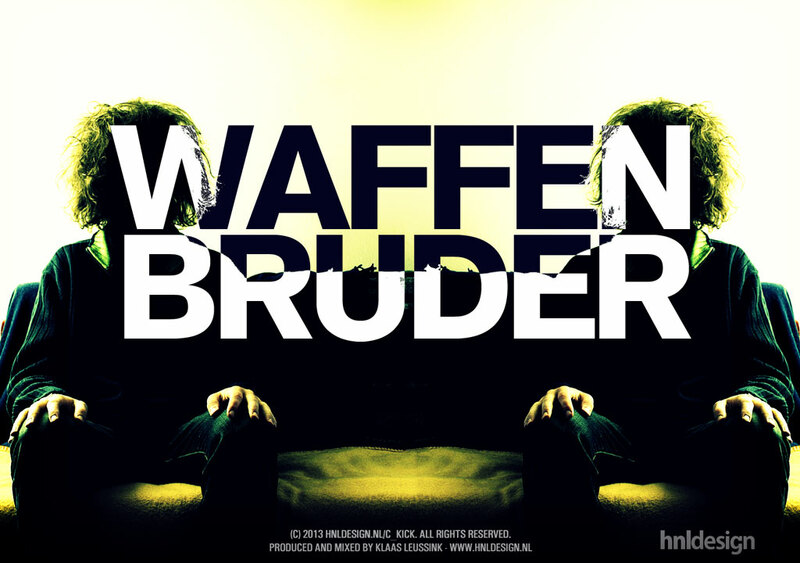 The result is ‘Waffen Bruder’ (Brother in Arms), a 125 bpm disco house track, which I think turned out pretty good!